This is also the Temple of Five Immortals. 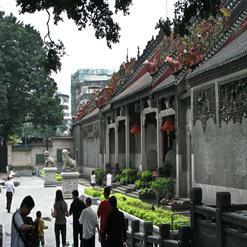 This Taoist Temple is one of the historically important temples in the city. It was built during the tenth year of the Hongwu reign during the Ming Dynasty for worshipping the five gods.